« Question: When is Children’s Safety a Particular Concern? Today I was surprised to learn that our Chairman assumes any disagreement with her view of the world and rulemaking means, in her words, delay and distortion to circumvent the will of America. I join with the Chairman and our talented, dedicated staff in seeking to remove genuine, unreasonable threats to consumer safety as our statute charges us to do. Life, unfortunately, doesn’t follow statutory rules, and always presents some risk. Falling off a bicycle will hurt even if it contains no lead whatsoever. As a mother, I would do anything in my power to change those realities. As a regulator, I know the CPSC does not have the power to change all those realities. That’s why I advocate using our limited resources to address the greatest risks to consumers, particularly children. The Chairman states that our excellent staff are “made up of parents and grandparents who are also consumers.” I guess I need to remind the Chairman we Commissioners and our staff are also made up of parents and grandparents who are also consumers. What’s her point? I was struck by the number of baseless allegations by the Chairman. Among these was her imagining a “coordinated campaign” against her regulatory agenda. Two or more Commissioners expressing their sincere concerns about a regulatory approach does not a conspiracy make. What the Chairman characterizes as “vigorous resistance” is actually my principled insistence on collaborative, participatory, democratic government. What does that mean? That means the Chairman and the majority should not do what they just did on phthalates: withhold information from the public and foreclose public debate. One virtue the Chairman does not and cannot claim here is transparency. The “tactics” she accuses me of using are those of needless delay. Let’s see. 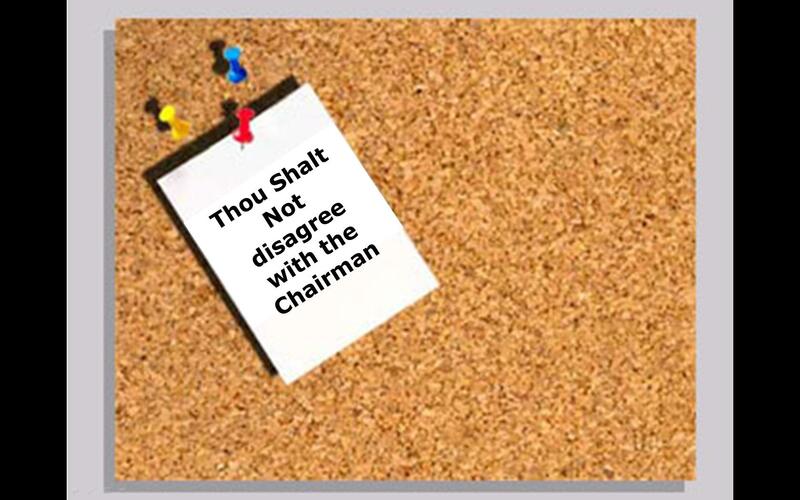 The Chairman has repeatedly joined in votes to stay enforcement of a variety of CPSC mandates, and she has touted several of these votes as expressions of a spirit of cooperation. Apparently, when she agrees with a delay, it is merely wise bi-partisan restraint, but when I advocate for prudent restraint, it is merely dilatory. Additionally, the Chairman ignores the reality that I voted for many of the regulations she cites as CPSC’s latest achievements. In fact, she fails to mention that I took the lead in pursuing the new rules on drawstrings on children’s clothing, pressed the Chairman for months to bring it to a vote, and expanded the scope of that regulation to protect children more fully. While the Chairman’s slogan “safety delayed is safety denied” may seem catchy, I prefer to focus on substantive language. For example, last week I tried to get regulatory language to focus our resources on our “particular consideration to the safety impacts on children.” I was voted down by the majority. The message I get from the Chairman is clear: sit down, you’re rocking the boat. It is unlikely her wish will come true. Tenan”bomb” and the democratic majority continue to play politics and hide behind false pretense of safety in ignoring desperate cries for common sense and responsibility behind CPSIA. And yes, these cries are also coming from parents and consumers who will lose their jobs as businesses close or reduce workforce due to unnecessary burdens created. This CPSIA bomb will hurt businesses and consumers at a time when our economy continues to struggle. And all this for political reasons, having nothing to do with product safety. Thank you for continuing to fight against the ridiculous tactics the current majority continues to engage in. It’s amazing something as critical as child safety is politicized this much. As I see it, the minority is trying their best to implement a “fair” and “reasonable” approach to these regulations to minimize the impact to industry, but as is typical these days, the majority continues to demonize any who stand in their way of their view of a safer world. Who cares if their overly burdensome regulations cost companies billions of dollars (like it has already), they think they’ll save the world. It’s just too bad they don’t live in reality and work to find an appropriate balance. Keep up the great fight to try and maintain this balance!